While electronic cigarette enthusiasts and marijuana addicts continue to blow their clouds, new research conducted on electronic cigarettes has pointed towards the additional dangers. After conducting a federally funded study on the dangers of vaping, Harvard scientists are now calling for “urgent action.” The researchers found harmful chemicals that destroy the lungs; these chemicals are commonly found in vaporizer liquids, also known as “juice”. Recently, a 14-year-old girl wound up in the hospital suffering from mild burns to the legs and arms while trying to enjoy a ride on the Hogwarts Express at Universal Studios. The man sitting next to her on the ride brought his vape to the amusement park. The vaporizer in his pocket exploded, causing burn injuries both to the man and teen girl. This was not an isolated incident. The U.S. Fire Administration deems electronic cigarettes as “flaming rockets” due to their ability to blow up as compared to other battery-powered devices. Despite this warning, the FFA is still allowing these devices on airplanes. The dangers of ‘dabbing’ are also quite alarming. Dabbing is smoking highly concentrated marijuana oil produced by using butane as a solvent. The ‘dabs’ are then smoked through a vape pen or bong. Vaporizers are often used to conceal the use of marijuana in school, at work, and any public place because the scent is not detectable. The dabbing trend has led to more marijuana addicts and home explosions because of the process of making the concentrate using highly flammable butane. 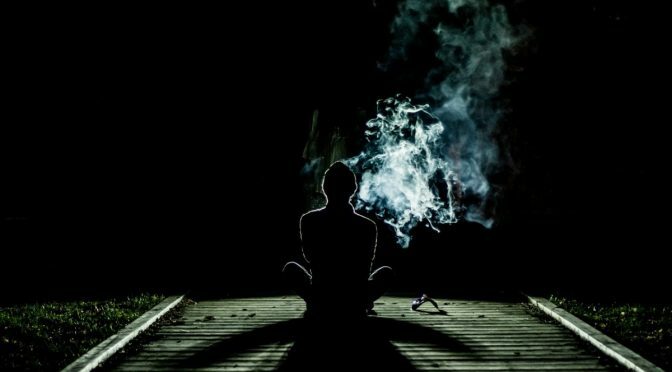 What is disturbing is that marijuana users continue to ‘dab’ for the quick and fast effects of ‘dabbing’, the THC content can be up to 70 to 85 percent. Michigan State Police are facing the challenges of controlling the dangers of ‘dabbing’ as stated by Lt. David Kaiser, “We always have explosions. We always have severe burns. It’s something that can wreck your body and your life forever,”. (Jackman, 2015). According to Jackman, a link between psychosis and dabbing was also found. Vaporizers are widely known to be a “tobacco substitute.” Yet, the American Lung Association reports that vaporizers not only contain nicotine but other chemicals harmful to the lungs, including toxic-cancer causing chemicals, such as a chemical used in anti-freeze. The ‘vaping’ industry misleads smokers into believing that vaping is safer than smoking and a great way to quit cigarettes. The allure of the hundreds of flavors entices consumers to indulge. Young people are particularly vulnerable to such marketing messages. The flavors themselves contain harmful elements that damage the lungs. Diacetyl, a chemical found in flavors is now known to be harmful to the lungs. Wired, the technology magazine, tells the stories of several tragic vape pen accidents. The fact that an electronic cigarette are blowing up in adults and teens faces resulting in fractures, burns, and broken teeth leaves us wondering why people continue to put themselves at risk. While we wait for further research to explore even more dangerous aspects of ‘vaping’, we can only hope that smokers will not be fooled into thinking vaping is a safer alternative.